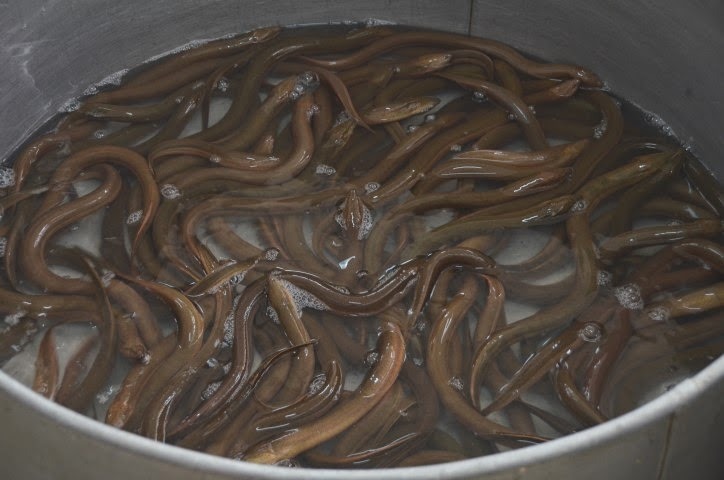 I enjoy eating eels prepared in all sort of ways from hot pot to a simple saute such as this dish. 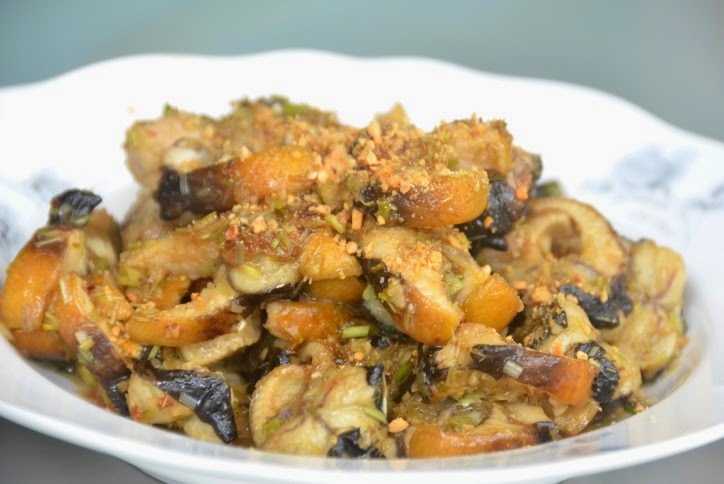 This sauteed eel with lemongrass and hot chili pepper is called "lương xào sã ớt" in Vietnamese. 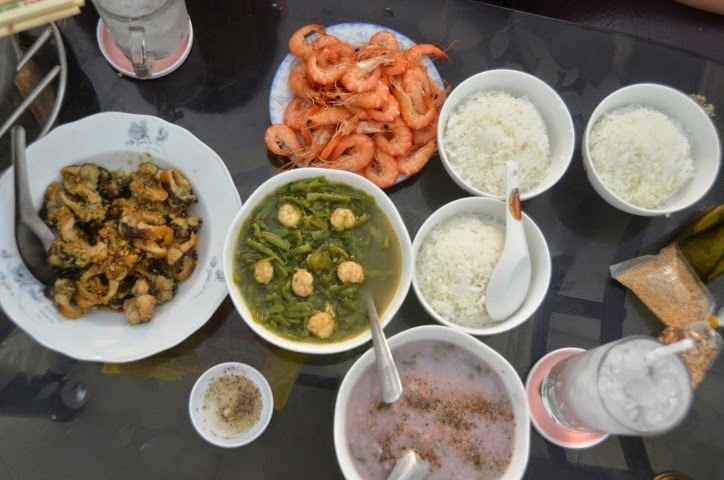 It is quite popular at home and in restaurants and I have seen it served all over this Southern region of Vietnam. 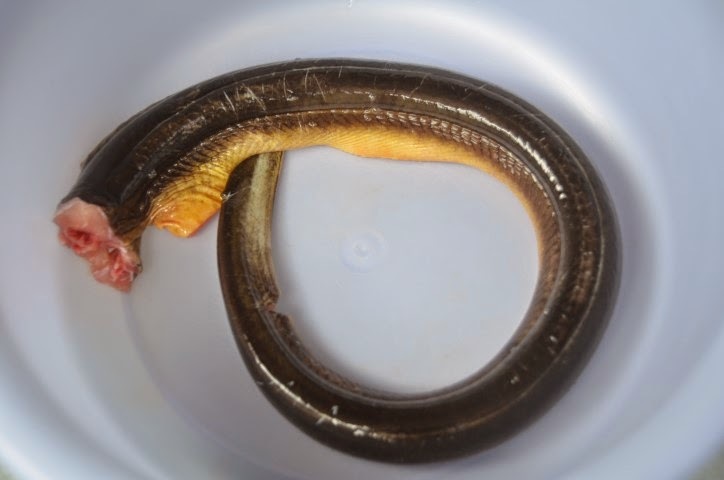 The best thing about eels is that they have just the tiny spinal bones making them easy to eat. 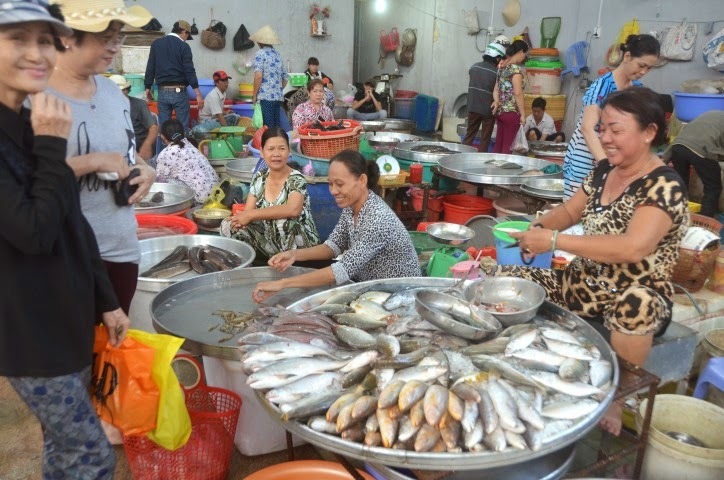 My cousin, Sieu Ken bought the prepared eel at the wet (seafood) market in Soctrang. She helped me clean it further and cut it into rings after we brought it home. 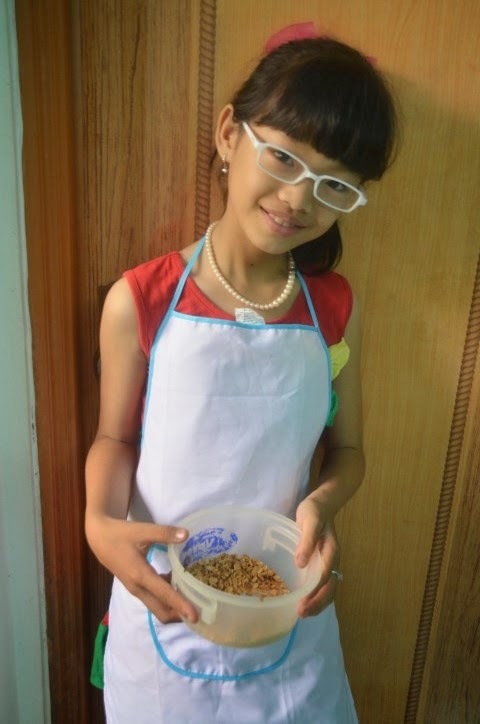 Her daughter, Linh helped me crush the already roasted peanuts to sprinkle on top for extra crunch and good taste! Thank you, Ken and Bé Linh! pounded the peanuts for me. 1) Heat a wok or pan over medium high heat. 2) Once the pan is hot add garlic, lemongrass and chili pepper. Saute about 1-2 minutes. Avoid burning the garlic. 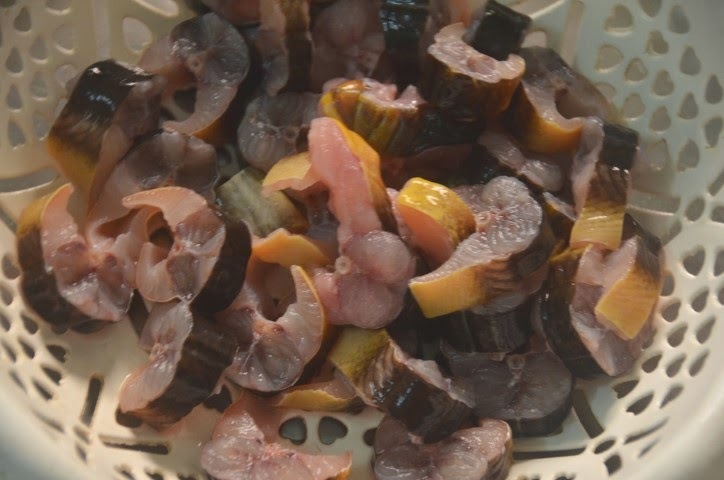 3) Add the eel. Saute about about 3 minutes. 4) Add soy sauce, fish sauce, sugar and water. Saute about another 2 more minutes or until the eel is cook thoroughly. Sprinkle crushed roasted peanuts on top before serving.